The Lightness Of Being would like to wish everyone a very happy 2012! 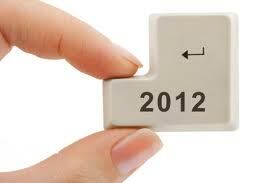 Thanks to everyone who have come out to our gigs, checked out our music in the past year, for making it a great 2011. We look forward to bringing you more kicking, guitar-driven rock, in the world dominated by electro-pop and ‘talented’ pop stars who co-wrote 1 word and 2 notes, in 2012! Our next gig is at the Hoxton Underbelly on 6th Jan 2012, 7pm with Runfever, Electric Fusiliers and Tabloid Vivant (£6 advance, £8 at the door) so get in touch with us if you’d like to get on the advance list.